While the lack of Hatsune Miku on Nintendo Switch is a conspicuous sign that perhaps the Miku license is in flux, and we may never see another one from SEGA, the Switch console itself has become something of a home to the rhythm game genre. Quite a significant number of ports from other platforms having landed on the console over its first year or so, and the latest is Musynx. Originally a mobile exclusive, it's so much better now that it's on the Switch. Related reading: The rhythm game most like Musynx on Switch is Deemo. Our review. It's easy to understand the attraction of the console to rhythm game developers. A large screen that registers multi-touch commands allows for the full tactile experience, and as a console game, developers don't need to try and shove free-to-play monetisation into the experience. It's enough to simply offer a full suite of music for a premium price. On top of that, the Switch has buttons, which a lot of rhythm genre fans prefer. So it's possible for the developers of these titles to appeal to all fanbases. Musynx is made for people who are existing rhythm game fans. There's no tutorial, no explanation of how to play. Once you load the game you're immediately dropped into its tracklist, and while you might be inclined to first open the "track" that has a giant "Welcome" plastered across it, assuming that would provide some kind of explanation on what to do in Musynx, all that does is actually take you to the store to buy more music. In fairness, it's very easy to figure out how to play on your own, even if you're not a genre veteran, but that spartan design does leave a cheap impression from the outset. Matters are not helped when you realise that there are only really two difficulty levels in Musynx; normal and hard. 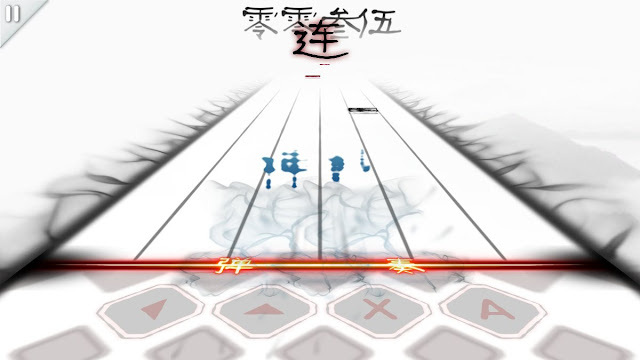 Sure you have a choice between a four "note" experience and a six "note" experience as well, but given that that doesn't matter too much when you're playing with the touch screen, Musynx also comes across as rather thin on the gameplay depth as well. Gameplay is nice and clean. 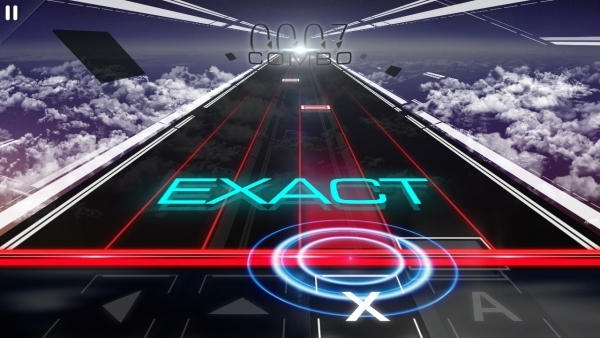 As with many other rhythm games, such as DJ Max and Deemo, "notes" scroll down from the top of the screen towards a "bar" on the bottom, and your job is to either touch the note on the touch screen, or press the relevant button, just as the note hits the bottom. Notes come in two varieties: you either tap once, or you need to tap and hold the note for a period of time, as represented by a trail behind the note. And that's all there is to the gameplay. As I said, rhythm genre veterans will have no problem getting comfortable with Musynx. What lets the game down is how ridiculously easy it is using the touch screen. While there's something of a learning curve in getting the absolute most touch-perfect timing to get the maximum score, simply getting through a track with no "misses" or "average" times is too easy for its own good. I was getting "S" rankings and better on the hardest tracks, in the hardest mode, within an hour of playing. 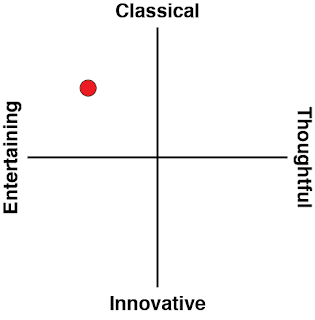 Now, admittedly I'm the guy who has spent thousands of hours (literally) playing Miku games, so I'm probably on the higher end of the skill curve with this genre, but rhythm games, as a genre description, need a highly challenging option, and this one lacks it. That is, unless you play with buttons. Playing with buttons suddenly ups the challenge level, especially if you choose the six note option. The default four-note option breaks notes across four different buttons - left, up, X and A on the Switch controller. The six-note option adds the right and Y buttons into the mix. Effectively it plays just as DJ Max does, and as I noted in my review of DJ Max on the PlayStation 4, I do struggle at times to correlate the right button to press with each note - there's not much information presented on the screen, other than the notes being structured into abstract rows, and the notes fly down the screen fast, making it difficult to quickly correlate the row with the right button. Say what you want about the Hatsune Miku games (no, scratch that, you're only allowed to say nice things about it), but as hard as those games can be you're always provided with an abundance of information on which button you should be pressing when. Related reading: Play with buttons, and Musynx plays like DJMax. Here's our review of that one. To put it bluntly, playing with buttons felt artificially hard - like it's the kind of thing you'd only do because you found the touch screen too easy. The way the notes mapping works means that the touch screen feels better to play anyway. It's more like you're playing an instrument along with the music track, so I gave up on the button pressing version of Musynx quite early on. What saves Musynx from being a completely pedestrian video game is the soundtrack. Even before you account for whatever might be added in as DLC later, the wealth of absolutely amazing music in this game, for anyone who likes their Asian pop music, is incredible. While Musynx's tracklist is, in theory, broken down into different categories - rock, pop, R & B, 8-bit, vocaloid, etc - in practice the heaviest or most "street" of tracks is still the kind of music you'd expect to hear on a J-Pop or K-Pop radio station, and even the weirder stuff, like the 8-bit tracks, classical music, or handful of really out there... compositions... fits thematically with the overall playlist. With most rhythm games, right from Voez to DJ Max to Superbeat Xonic, I always resign myself to the fact that my taste in music means that half the tracklist may as well not exist for the time I'm going to spend playing it. Here, though, I have my favourites, but I'll play just about all of 'em. 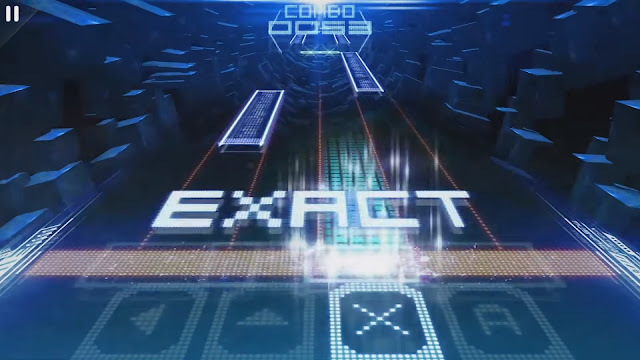 Musynx is as no-frills as rhythm games get. 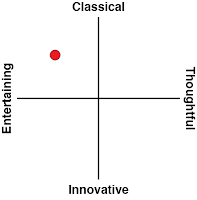 That's not necessarily a criticism, because the music - the most important feature of the genre - is a stand-out delight. I will play this one a lot more than I play DJ Max or Superbeat Xonic, for example. 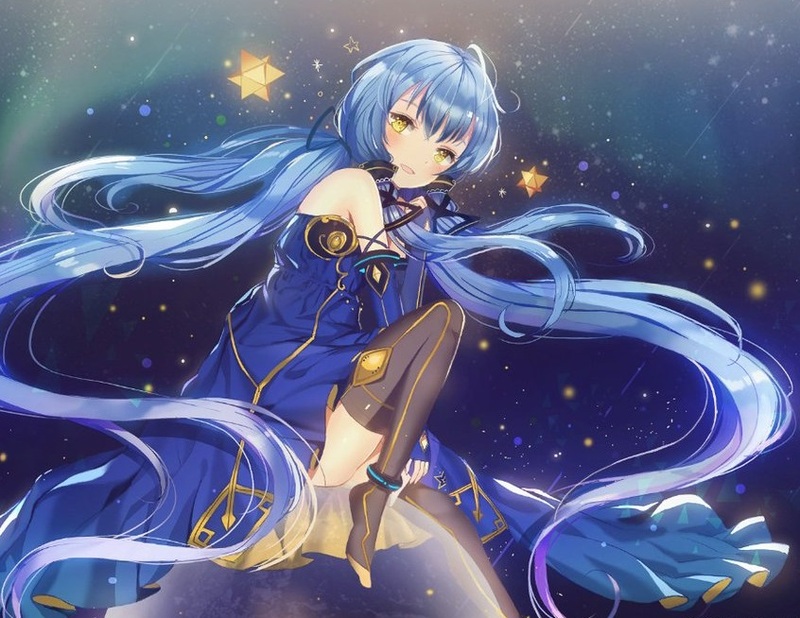 And yet, while the promise of plenty of DLC music to come is exciting, Musynx also lets itself down by being far too easy, and limited in features, to hit those high notes as one of the best examples of the genre.